Choosing the best life insurance company is hard. Finding the best life insurance for your situation is important, but with hundreds of companies and policies to choose from, it’s hard to know where to begin. What is the best life insurance company? See our research report below for the top 10 best rated life insurance companies. Haven Life is backed by A++ rated Mass Mutual, and is our #1 recommendation. Competitive rates and best in class application process earn it the #1 spot. Click below to get an accurate quote. AIG, also know as American International Group, has been in business since 1919. AIG's strong financial rating, product selection and competitive pricing earns it the #2 spot. Get a quote by clicking below. Ethos is backed by Assurity life insurance, which has very strong financial ratings. Ethos offers a term life insurance product that is trusted and affordable. This earns Ethos the #3 spot for the best life insurance. Based on our research consisting of over 100+ hours, 50+ companies considered, 100+ consumers surveyed, and 30+ data points, here is our list for the best life insurance in the United States. It was established in 2013 as a fully-owned subsidiary of Massachusetts Mutual Life Insurance Company, which has been in the insurance business for more than 160 years. Strengths: Fast coverage and flexible policies. Superior online application. AIG Life Insurance was founded in 1919 and has more than 90 million policyholders. Strengths: Financially stable, has a global presence, and has an impressive lineup of life insurance products. It was established in 1875 and is one of the top rated insurers in the country, holding active life insurance policies worth $2 trillion. Strengths: Lenient underwriting policies – accepts people older than 60, those who are not in perfect health, those with DUIs on their record, and those who chew tobacco. Banner Life was founded in 1949 and is based in Maryland. Banner Life is currently one of the best choices for life insurance. Strengths: Reasonable underwriting guidelines, high acceptance rate, and fast claim settlements. It was founded in 1909 and is a Fortune 500 company. Strengths: Financially stable, offers low rates even for those with minor health issues, no medical exam is required for select term policies. Also offers popular final expense policy. It was founded in 1928 and is headquartered in Iowa. Strengths: High acceptance rate even for higher risk applicants, offers 30 year term policies even for people over the age of 50, financially strong. It was established in 1868 and is one of the oldest and largest insurance companies in the world. Strengths: Simple application process, offers low-cost policies even for those with diabetes and high blood pressure, and also offers simplified issue policies that do not require medical exams. It was founded in 1905 and is based in Pennsylvania. Strengths: Financially sound and has lenient underwriting policies. It was established in 1845 and is currently the third largest insurance provider in the country. 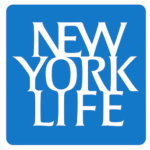 It's strong ratings and products make New York Life a top life insurance company. Strengths: Offers a wide range of policies and riders. It was founded in 1929 and is based in Illinois. Strengths: Financially very stable, offers a great lineup of term and permanent life policies, and is known for its customer service. Make the most informed decision possible with our side by side comparisons. One thing that we stress is the importance of making the best choice for yourself. We have singled out the best companies for the different types of life insurance. If you've talked to a life insurance agent already, they may have already explained the difference between permanent life insurance and term. It's important to understand the different life insurance options before buying. Haven earns the top spot for best term life insurance company. As we mentioned above, they are wholly owned by Mass Mutual. Mass Mutual has exceptional financial strength. Financial strength, price, and the ability to purchase online make it our #1 company for term life insurance. They offer up to $3 million of life insurance coverage for those under 60. Those age 60-64 are eligible to apply for up to $1 million in coverage; subject to underwriting approval. Learn more about the best term life insurance companies. Term insurance provides coverage for a set period of time. 10, 15, 20 and 30 are the most common year terms for a term life policy. Learn more about term life insurance. In our research of companies offering whole life insurance, one company stood out. Northwestern Mutual is known for its industry leading financial strength. They offer a wide range of products, but they tend to lean more towards whole life insurance. They are not known to be the cheapest offer. See our best whole life insurance companies for more. Learn more about whole life insurance, which may be a good choice if you require the tax free cash value component and permanent coverage of a whole or universal life insurance policy. To pick the best life insurance company you will need to consider financial ratings and track record of those companies. This will help you find the most financially stable option. The second part of picking a company is making sure the policies they offer are a good fit for your needs. Financial ratings are an important factor to consider while shopping for life insurance. They are one of the key indicators of a company’s financial stability. A company’s ratings reflect its ability to meet contractual obligations. There are several independent agencies that rate life insurance companies. The most important ones being A.M. Best, Moody’s, Standard & Poor’s, J.D. Power and Fitch. Each agency has its own set of rules to determine a company’s financial stability. These ratings change depending on the company’s recent performance and financial outlook. So, you should check the latest ratings of an insurance company before deciding to buy. You should check the company’s track record of settling its claims. Does it have a long record of serving its customers well? Has it settled all or most of its claims without any issues? These are questions you need to ask to find out if the company is the right choice for you. Does the company have a history of policy cancellations and claim disputes? Think twice before choosing a company like that. Even if it’s rates happen to be affordable. There is no point in choosing a low-cost policy if the company has a history of denying claims. Remember! Your loved ones have to file a claim with the insurance company after your death to receive the payout. The last thing they need is for the company to make them jump through hoops to receive the payout. So, choosing a company know best for it's positive track record is crucial. You can check a company’s track record with the BBB and the NAIC. Also check with your state’s insurance department for any complaints. One of the biggest worries in buying life insurance is if the company will pay out after you are gone. The best way to ensure this happens is to choose a company with minimal complaints about denying claims. It’s important to answer the questions on the life insurance application truthfully so there can be no reason for claim denial. Always keep your contact information and policy payment method up to date to avoid any issues. 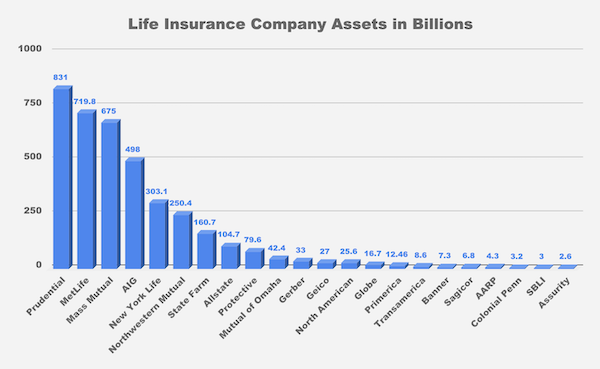 All of the top life insurance companies listed on this page are likely to pay claims due to their strong financial ratings. As a shopper, you need to do your homework to find the best life insurance companies that pay out. Look for an insurance company that offers a wide range of policies. Pick one that best suits your budget as well as your family’s financial needs. Look for a company that allows you to convert a term policy into a permanent one. A term life insurance policy generally lasts anywhere from 10 to 30 years. If you are in your 50’s or 60’s when it expires, you might need to get yourself insured again. Qualifying for a new policy at that age can be difficult. You might be charged higher life insurance rates compared to younger applicant. With the conversion option, you can convert your existing term policy into a permanent one. No need to qualify for a new policy or undergo any medical tests. Even if you think that you might not need it, it’s a good option to have. Look for a company that offers optional riders and benefits. A standard term policy is the cheapest option you could go for, but it may not cover all your needs. What happens if you develop a terminal illness or a disability? This could prevent you from working and also cause significant medical expenses. In such a scenario, a pure term policy is of little use. Your family can receive the payout only after your passing. In the mean time, you have to dig into your savings to pay for your treatment costs. This can leave your family vulnerable in the short term. An accelerated death benefit rider can be extremely beneficial to your family in such cases. The accelerated death benefit rider gives you the option of receiving a portion of your death benefit while you are still alive. You can use the money to pay for your treatment without having to deplete your savings or borrow money. Choosing one or more of these riders will increase your premium payments. However, paying a few dollars more is worth the extra protection these riders provide. Each insurance company has its own set of underwriting policies or guidelines. Some companies have strict guidelines. You are likely to qualify for the cheapest rates only if you are young and in excellent health. Other companies can be more lenient with their underwriting guidelines. Even if you do not qualify for the cheap rates with one company, you might be able to do so with another company. By doing so, you might be able to save hundreds of dollars in life insurance premiums every year. This is why it is important to get quotes from multiple companies while buying life insurance. Not all companies have the same kind of guidelines or medical test requirements. So, you should choose one where you are most likely to qualify for the best possible rates. Who has the best life insurance rates? The answer to this depends on your overall health. It is difficult to say who has the best rates when it varies so much. One company might have better rates for older customers, where another may be the best choice for someone with asthma. It depends. Your best bet is to shop multiple companies and compare the rates. We have published sample life insurance rates here. What does life insurance cost monthly? For a term life insurance policy from one of the best companies you can expect to pay between $20 per month and $75 per month. This will depend on your age, coverage amount, term length, and overall health. See more on the cost of life insurance. Who has the best life insurance? The companies with the highest financial ratings will have the best life insurance offerings. Consider the type of life insurance they offer, the riders available, their financial strength, and the customer service rating. Any of the companies on this top 10 list are a great choice. The experts we surveyed agree that most people should buy a term life insurance policy. The investment component of a permanent life insurance policy often does not have as good of a return as other investments. It is our recommendation that you buy a term policy and invest the money saved. Learn more about the difference between term and whole life insurance here. If you are looking to buy a permanent life policy, it is advisable to buy it from a mutual insurance company, rather than a traditional insurance company. The difference between a traditional life insurance company and a mutual life insurance company is that the former is owned by stockholders whereas the latter is owned by the policyholders themselves. This is why mutual insurance companies tend to distribute their surplus revenue evenly among their policyholders in the form of dividends. If your insurance provider pays dividends every year, it could be an additional source of income for you throughout the term of the policy. This is above and beyond what you receive in terms of the cash component and the death benefit. While this certainly should not be a make-or-break factor in deciding which company you should do business with, it can be an additional criterion based on which you can compare different insurance companies. Among the factors mentioned above, financial rating stands out from the rest. It is the very factor that determines the validity of your contract with an insurance company. Think of it this way – life insurance is meant to be a financial safety net for your family. The net, however, is only as strong as the insurance company’s ability to honor its claims. Insurance companies increase their profits by investing a portion of the money they receive from the policyholders in the market. The market, by its very nature, is unpredictable and could go up or down depending on various factors. When it does go down, a company could suffer losses, albeit only in the short term. During such times, unless the company is financially stable and has sufficient statutory reserves, it might struggle to continue its operations, settle claims, and pay for surrendered policies. This is why the financial rating of a company matters a lot. Similarly, if there is a catastrophic event or there is a sudden drop in the market, people might panic and want to surrender their policies or withdraw money from their policies. Such a sudden spike in surrender and withdrawal requests can only be handled by companies that have significant financial resources at their disposal. Independent agencies like AM Best, Moody’s, Standard & Poor’s, J.D. Power and Fitch rate insurance companies according to their financial stability. If a life insurance company is rated highly by these agencies on a consistent basis, it is a very good sign of its ability to honor its commitments. If a company receives subpar ratings from these agencies, you should be wary of choosing it. Let us now take a look at 10 life insurance companies you should probably avoid. The majority of insurance providers in the US are financially stable and committed to serving their customers. However, there are some companies that are notorious for denying and delaying claims and are rated poorly by customers and rating agencies alike. Based on their track record, it is not advisable for you to trust them with your hard-earned money. Let us take a look at them now. It was founded in 1968 and is based in Pennsylvania. Why You Should Avoid It: Receives a large number of complaints from customers regularly and is known for delaying claims. It was founded in 1966 and is based in Iowa. Why You Should Avoid It: Has a subpar financial rating and offers policies that might only meet the needs of a small, niche group of customers. It was founded in 1879 and is based in Illinois. Why You Should Avoid It: Not as financially stable as other, highly rated life insurance companies. It was founded in 1882 and is based in Maryland. Why You Should Avoid It: Subpar financial rating despite being in business for more than a century. It was founded in 1931 and is based in Illinois. Why You Should Avoid It: While it is financially stable, the company is known to delay and deny claims at times. The premiums are also higher than average and the underwriting policies are strict, which means you are less likely to qualify for preferred rates if you have any preexisting condition or risk factor. Life insurance is an important long term financial decision. There are a number of factors to consider. If you choose to buy insurance from an unreliable company your family could end up paying the price. You need to carefully consider the factors mentioned above. Choose an insurance provider who is reliable, financially stable, and whose policies meet your needs. If you are in need of life insurance, but not sure what kind of policy is right for you or which company you should buy it from, we at noexam.com can help you. We have all the information you need to understand the pros and cons of choosing different kinds of policies as well as the strengths and weaknesses of various insurance providers. We can help you find the right kind of policy and a reliable insurance provider for you to do business with. Here is a listing of companies we considered in this study. See available life insurance products that do not require a health exam. See our top listings of the best term life insurance companies along with rates and comparisons. Current listings of the top burial insurance companies in the market today. Complete review of Colonial Penn life insurance including rates and products offered. Globe life insurance review featuring products offered, rates, and financial ratings.